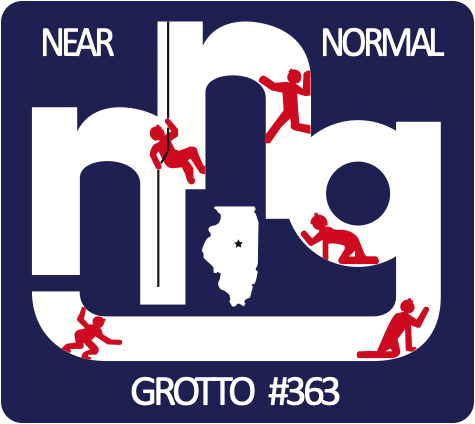 The Near Normal Grotto is a non-profit organization dedicated to the study, exploration and conservation of caves and cave life. Our members come from all walks of life – landscapers, camp counselors, carpenters, geologists, mechanics, teachers, and students, to name a few. In other words, people like you. 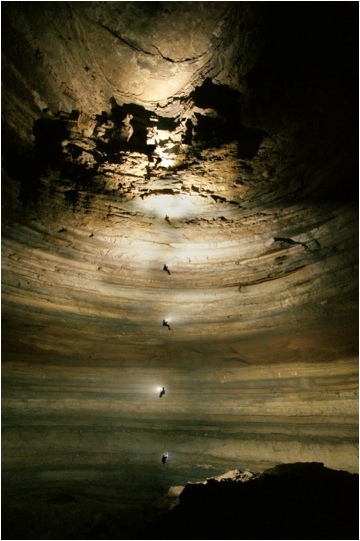 Our interests may vary from exploration to conservation to photography, but we all share a passion for caving. If this interests you and you would like to know more, feel free to attend one of our monthly meetings! Where: We are holding meetings at BroMennn Medical Center in Normal, Illinois. Go in the main entrance at BroMenn, go UP the escalator and turn left. Immediately after the double doors is a small hallway on the left. We meet in the room (the Multidisciplinary Classroom) at the end of this hallway. When: Normally, the second Friday of each month at 7 p.m. If you are not a member of the grotto, please email to confirm date and time.